Description: Pen & Sword Military, 2006. First Edition, Hardcover. Fine Condition/Fine. 9781844155033 A firmly bound copy, with clean unmarked pages; light surface marks to rear of jacket. A well-kept copy. This is the long-awaited missing history of a unique London regiment. Thoroughly deserving of its name, the Artists Rifles traces its origins to a meeting to discuss the threat of invasion by Napoleon III in 1859, of students at Careys School of Art which led to the formation of the Corps of Artists. This unit was composed of painters, sculptors, engravers, architects, musicians, poets and actors. Remarkably many of the most famous names in British art (Millais, Rossetti, Frederick Leighton etc) have proudly to served in The Artists. 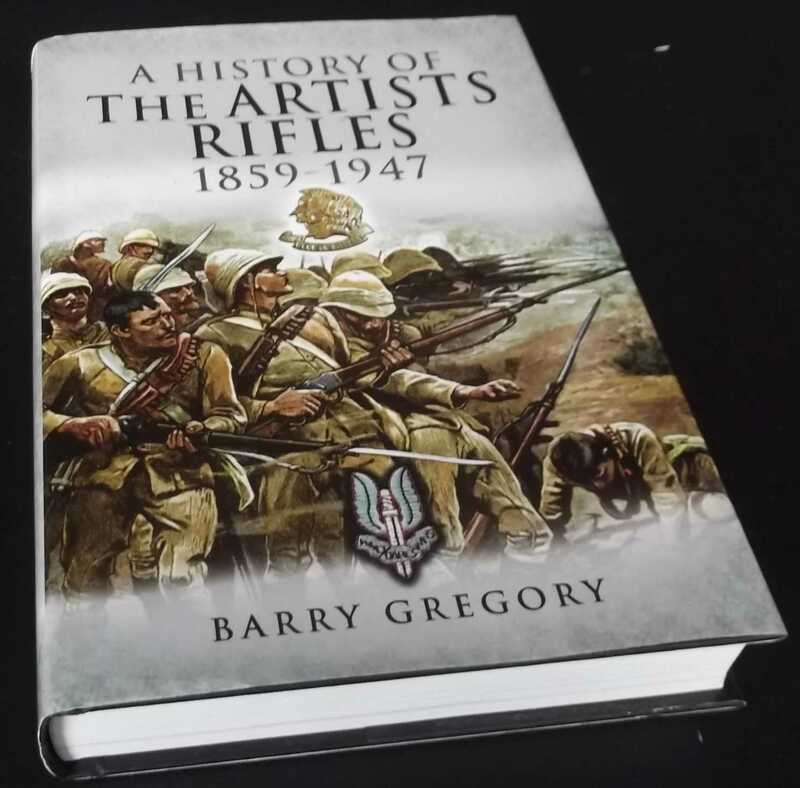 In addition to giving insights into unusual aspects of many distinguished figures lives, this superbly researched and comprehensive book covers the Artists Rifles activities in the Boer War, The Great War and Second World War. 348 pages. Quantity Available: 1. Category: Military & Warfare; ISBN/EAN: 9781844155033. Inventory No: dscf8809.